Wedding invites are so much fun to receive! I LOVE LOVE LOVE when couples send me their invites, even if they don’t want the photo to be captured – I will do it anyways! 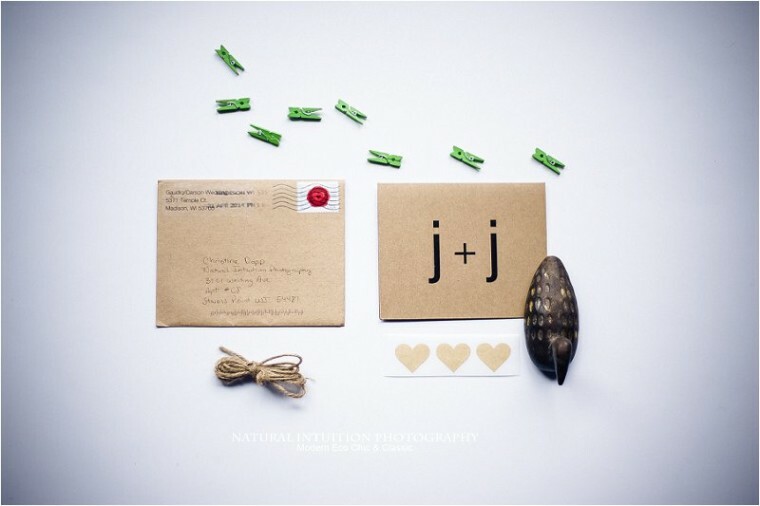 The invite is just one of the many little details couples work so hard on – especially when they are handmade by the couple like these two are. I ADORE them! They are both unique, and shows the couples unique style. 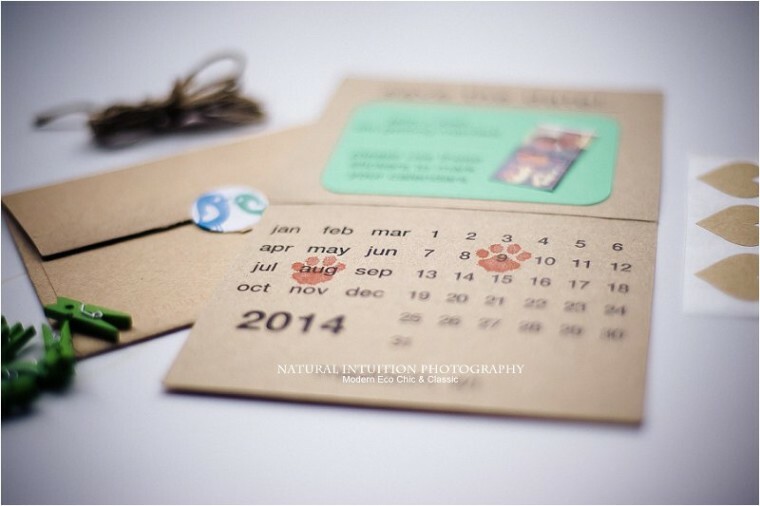 Take Jen and Ben for example, they had this awesome idea to include stickers to put on the guests calendar! That way NO ONE will forget. Plus the photos are adorable! They made their dog a part of the day too – another thing I love with couples! The day is your, make it about all about you, your unique style, and love for one another! Emily and Levi’s invite was so colorful it was a fresh of breath air to get during these dreary and chilly Spring day’s we have been having here in Wisconsin. 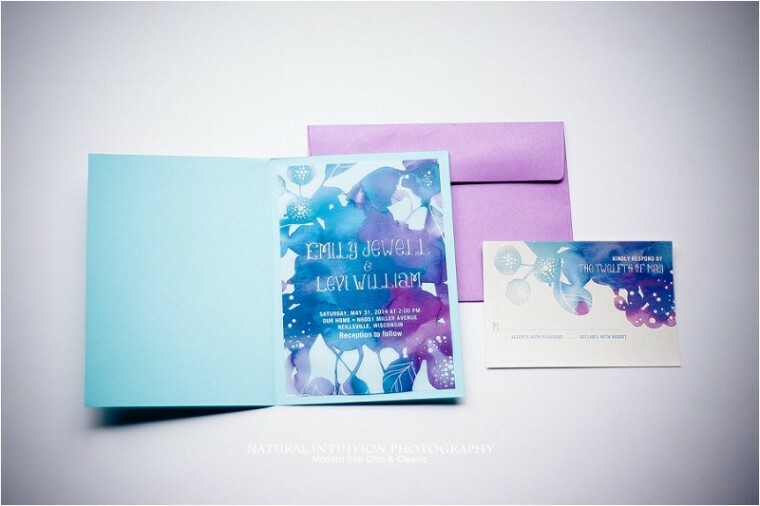 Their invite was simple, beautiful, and I adored the colors! You don’t have to spend a ton on wedding invites – you can DIY it with your own little touches! Make it unique to you, not what Pinterest or any Bridal Magazine says to do. Do what you want to do!